To have any hope of succeeding as a manager, you need to get your people all in. Whether you manage the smallest of teams or a multi-continent organization, you are the owner of a work culture and few things will have a bigger impact on your performance than getting your people to buy into your ideas and your cause and to believe what they do matters. Based on their extensive consulting experience, the authors present a simple seven-step road map for creating a culture of belief. Practical sales and marketing ideas, actions, and tips that you can use to increase spend per head, occupancy, and profit for your small hotel, B&B, or guest accommodation. Attract the guests you want using traditional and online marketing and sales actions to make you stand out from your competition. 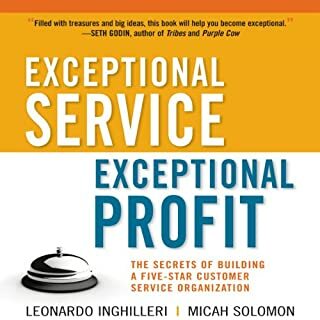 Sharing engaging stories from the company's employees - from the corporate office and hotels around the globe - Michelli describes the innovative methods the company uses to create peerless guest experiences and explains how it constantly hones and improves them. ©2008 Joseph A. Michelli (P)2015 Brilliance Audio, all rights reserved. The Ritz-Carlton Credo © The Ritz-Carlton Hotel Company, L.L.C. All rights reserved. Reprinted with permission. © 1998, 2000 Gallup, Inc. All rights reserved. The content is used with permission; however, Gallup retains all rights of republication. This book included many great and inspiring stories of the employees of the Ritz. Would have rated the book higher, but it had many slow points throughout it. Ritz-Carlton really has set the new gold standard. 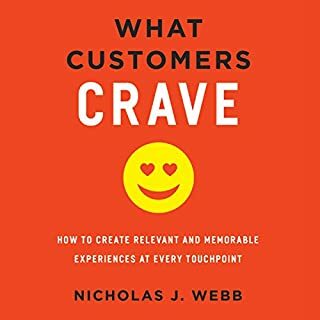 I'm very impressed with the book and not to mention the amazing level of detail focusing on serving customers. I wish all companies adopted this great customer service culture. It could have been consolidated!! The information provided was great but I felt like the stories dragged on way to long. I stumbled on this book by accident, and am so glad I did. This book takes the history of the hotel as a foreword, and delves into its rich format of how it has become such an amazing company. While the examples used are from a luxury hotel, it is written so well that anyone in any aspect of life could apply it to their circumstances. My wife was reading it and has been finding its information helpful even on how she runs her own house. The book has a great format. Structure enough to make everything congruent. But not overly structured as to become predictable. This book is filled with rock solid help, not fluf, which is unfortunately most of the books out there. This book has become a staple in my library, I will return to it again and again throughout my business career. Informative, thought provoking but most of all inspiring. 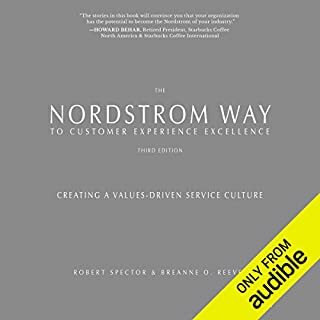 This was an excellent exploration of customer experience perfection providing a standard for any customer facing business. Highly recommended listen or read. 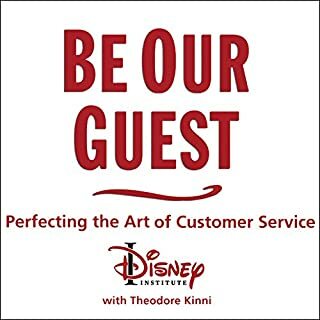 An inpiring book if you want to take customer service to the next level. One thing to note: you will most likely be disapointed with your next hotel stay after you read this book, you will think to yourself of all the ways your stay could have been better, if only you had stayed at a Ritz-Carlton. The Ritz-Carlton Hotels Company is known for its renowned customer service culture. 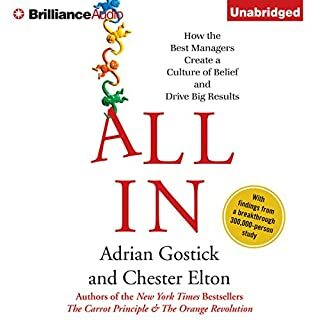 This book shows you the qualities each employee (Or Ladies and Gentlemen, as the company addresses its employees) needs to follow, and how you can implement these set of rules (The Gold Standard) to your organization. 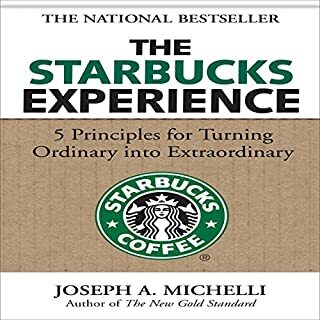 Overall, this book is very inspiring and insightful, and although most of the information in the book is accessible in this way or another through the internet (Primarily through The Ritz-Carlton website and through The Ritz-Carlton Leadership Center website), it is great to have all information in one book. 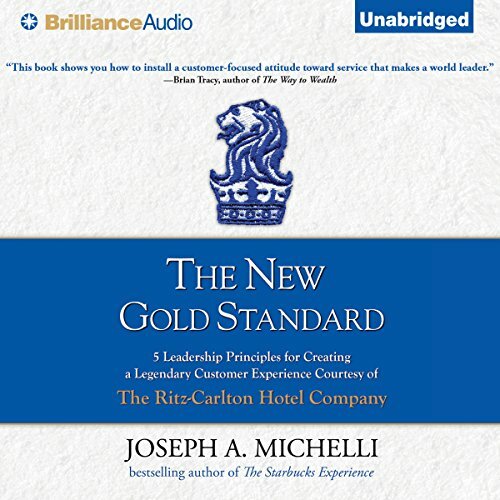 I highly recommend leaders from all industries to dedicate their time to listen to this book and execute some of the tips to their organizations, primarily employee empowerment, because, The Ritz-Carlton is truly one of the best at the service field. Would you listen to The New Gold Standard again? Why? Yes, if i were working in the hospitality industry. What about Joseph A. Michelli and Tom Parks ’s performance did you like? Well researched and some great stories came out. Excellent book but very hard to apply some of the insights from Ritz Carlton outwith hospitality.